The Civilization VI Spring update is on the way, bringing changes to loyalty, war, and countering the nerfs to England that were rolled out in the last patch. Here are all the new mechanics in Civilization VI’s Rise and Fall expansion. 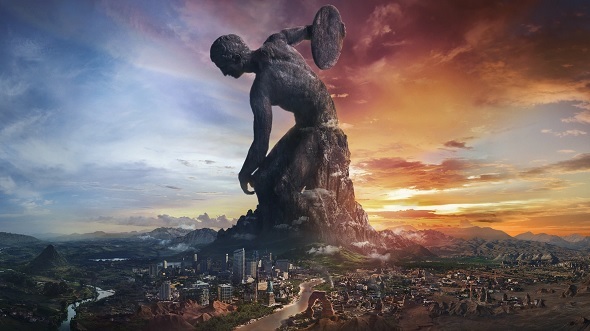 In a video update, which you can watch above, Civilization VI’s lead designer, Anton Strenger, talks through the changes. The first of those mention is to religious loyalty – the Spring update will now give you increased loyalty from cities that follow the same religion as the one you’ve founded, while you’ll get less loyalty from cities following different religions. The changes to England involve buffing the civilization’s Pax Britannica boon. Not only will you get a free unit when you settle a city on another continent, you’ll also get a free unit if you build a Royal Navy shipyard in that city. Strenger also covers the joint war mechanic. Rules around joint wars have changed, allowing you to declare them using a Casus Belli, and players will now be able to join wars that have already begun, gaining the benefit of the Casus Belli that are already in effect. For those of you taking a more pacifist approach, Firaxis have also added more Historic Moments to the game, with a focus on the late game. There doesn’t seem to be a release date for the spring update just yet, but I’d expect to see it in the next few weeks. You can check out the full video above, and Firaxis say there’ll be more information in a future update.